Fuji’s Instax range has been around since the late 1990s, producing a variety of different Polaroid-style, instant film cameras. 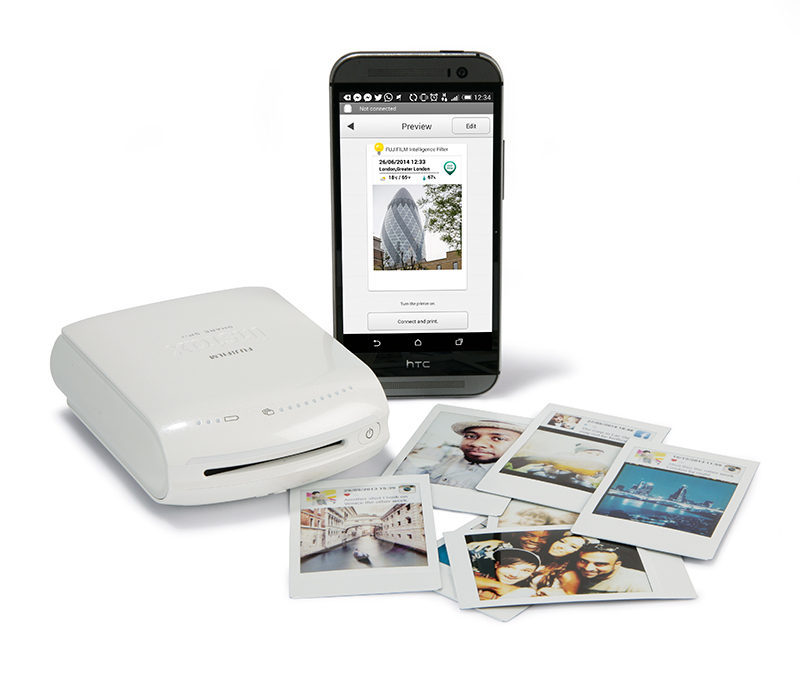 The Share SP-1 printer allows users to wirelessly transfer images from a smartphone or tablet and print them on Instax Mini film all in under 20secs. 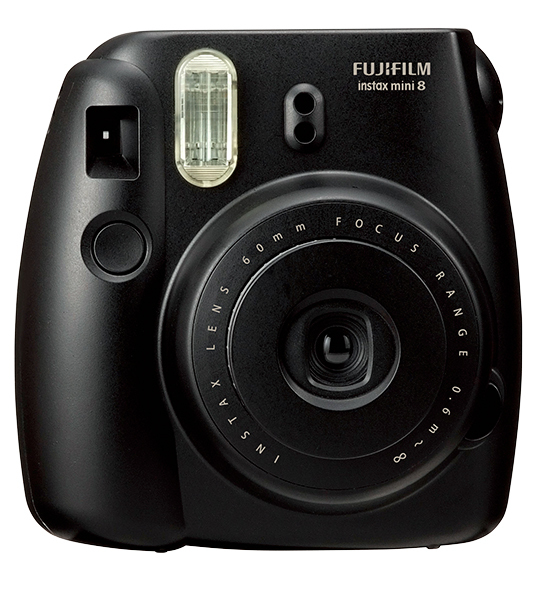 This works by connecting to the SP-1’s built-in Wi-Fi signal and transferring the images from the device via the free Fujifilm Instax Share application. Images can also be captured inside the application and printed directly, or pulled from a user’s Facebook or Instagram account – provided the device can connect to the internet. Available for Android and iOS, this app can resize and crop images, or apply colour schemes and filters. When taking images from social media, the date, time, caption and number of likes is recorded on the image, which is a nice touch. A group of LEDs along the front of the printer indicate how many prints are left in each pack of film. This allows you to take a picture to be instantly printed. The application will log the data, time and weather conditions and print it above your final image. On the underside of the printer is a small flap where packs of 10 Instax Mini film can be loaded. Loading film and inserting the batteries is very easy. Within 5mins of being out of the box, the printer was fully operational. During testing, the app worked perfectly well with a HTC One (M8) smartphone and had no connection issues. 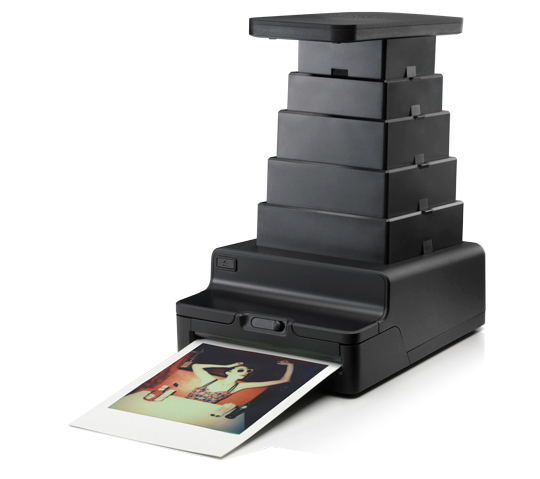 The 62x46mm prints output by the SP-1 look fantastic and there’s something magical about instant prints. Though it’s expensive at roughly 75p per print, I find that nostalgia and novelty value give the SP-1 real charm. 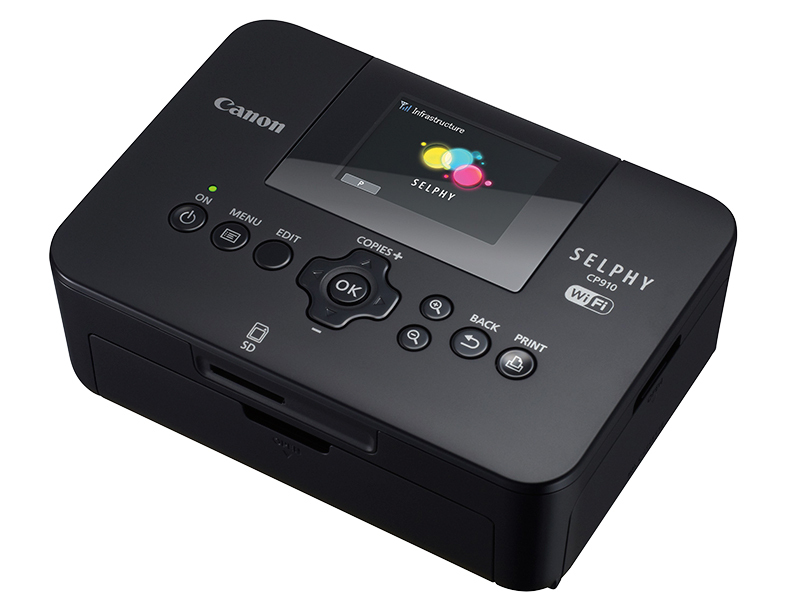 Although the CP910 doesn’t take instant film, it does have full Wi-Fi functionality that allows users to print from their smart device onto 6x4in paper in under 1min. Available in five different colours, the Instax Mini 8 prints images on the same 62x46mm paper as the Instax Share SP-1. If you’re not one to tote around a smartphone, this camera will achieve almost the same result. By placing an iPhone face down on it, the Instant Lab captures any image shown on the phone’s screen and within seconds develops it onto an instant film of your choosing.